Visiting a church for the first time can be a little intimidating. Where do I go? Where do my kids go? Is it safe? What will the music be like? What is the teaching like? What will people be wearing? Will it be weird? Am I wasting my time only to find out that this is just not the right fit for me? These are all valid questions to ask when looking for a new church. Here is a brief run-down of what you can expect to experience at a service on any given Sunday here at CityHope. First of all, parking is plentiful and you should have no problem finding a space. We are located at 8650 West Fairview Avenue, Boise, ID 83704. There is parking available in front of the church in addition to the west of the building. We have a nursery and preschool area that is located directly off the foyer to your left as you enter the building while our elementary age kids meet up the stairs to your right. If you are dropping your children off before the service in any of these areas, give yourself a few extra minutes to get them checked in properly. We take your kids safety very seriously by doing full background checks on every single person serving in our children's ministry areas. Classes are fun, and biblical truth is emphasized. After dropping off your children, feel free to stop by the coffee bar for a cup of coffee or make your way to the auditorium. We want you to know that you are welcome and want you to make yourself at home. There will be greeters at the main doors who can answer many basic questions about CityHope Church. You will notice a pretty easy-going environment where people are dressed casually, but respectfully. If you arrive early, you’ll have no problem getting a seat of your choice. If you arrive a little late and the room looks full, don’t worry . . . we’ll help direct you to an open spot. Our teaching time is focused on taking the deep truths of The Bible and explaining them in a manner that makes sense today. Our whole mission is to help lead people from wherever they are to where God wants them to be. We take a varied approach to our teaching time. We preach through specific books of the Bible, have stand alone messages, and topic based series in addition to having occasional guest speakers from the mission field. You can expect our sermons to last roughly 30-40 minutes, and can check out our Sermon Archive HERE. 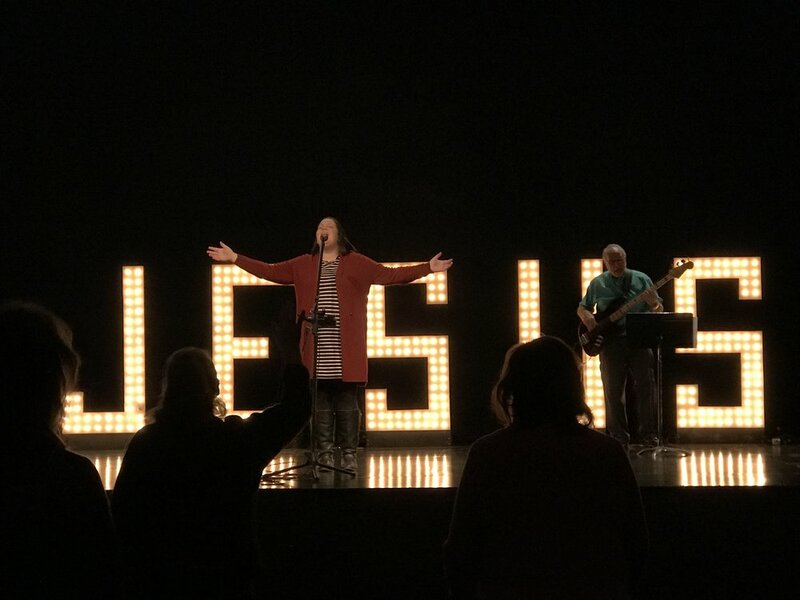 Every week after the sermon, we respond in worship in a few different ways. On the first Sunday of the month, Christ-followers will be invited to take part in communion. This really keeps us focused on the gift of salvation through Jesus Christ’s death and resurrection. During that time we’ll continue worshiping in song. Towards the end of our service, those who consider CityHope church their home will be given the opportunity to worship with their finances by giving back a portion to God by giving of their tithes and offering. You as a visitor should feel no pressure to take part in this. If you’d like to learn more about the financial side of CityHope, you can do so HERE. If we have not given announcements earlier in the service we’ll close the service with a few comments about upcoming events and opportunities. But don’t feel like you need to run out right away! We invite you to take some time to meet new people if you are ready for that. We hope to see you soon! We look forward to seeing you soon at one of our Services.